I’ve been waiting for sunshine. All we have had in the UK this last week is haze and pollution. 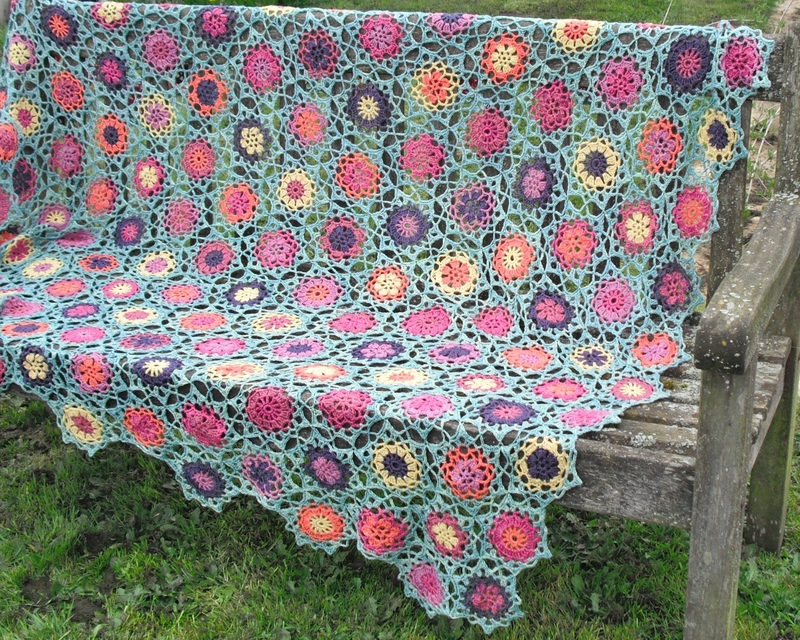 But I wanted sunshine because I wanted to share a photo with you – a photo of my Summer Garden Throw. 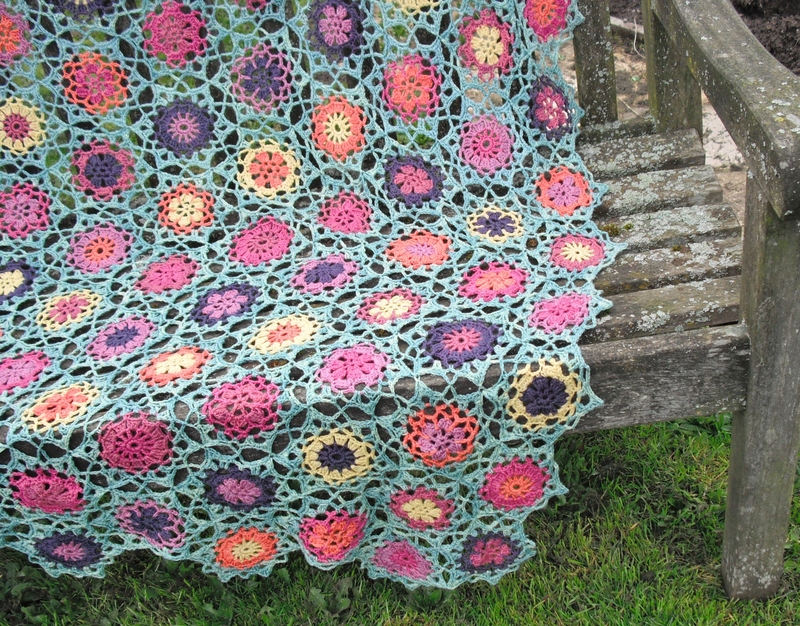 For me this is a throw not a blanket, because it is airy and not warm enough for real winter snuggling. It is for summer in the garden. Actually, I am pretty pleased with this photo. I thought I needed full sun but these rainy clouds didn’t hinder the beauty of the throw. I think the summer flowers have their own inner sunshine. This is really pretty. Thank you for sharing.